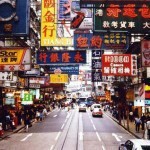 Open-jaw and return flights to Hong Kong from Europe from €319 / £232! Super cheap return flights to Brazil from Europe from €348! British Airways promotional code 2015 – 15% discount off flights! A bit more flexible travellers, that can plan their holidays in advance, may consider the offer of Turkish Airlines, continuously awarded as best European airline. For limited travel options mainly in November and December 2015 you may book open-jaw tickets to Hong Kong already for €319 / £232! Another very interesting option are return flights from Europe available from €350 / £273. his included all charges and fees as well as checked in luggage..
To book the cheapest flights available please look for open-jaw tickets departing from Helsinki, Stockholm, Brussels or Dublin and returning back to Germany or UK. (London, Manchester, Edinburgh, Birmingham). Promotional tariff with Turkish Airlines is valid for flights between February till 20th of December 2015. We have managed to find these cheapest flights in November and December 2015. This is based on date of your outbound flight to Hong Kong. If you want to compare hotel rooms in Hong Kong offered by leading booking sites you may check here. Booking sample of cheap return flights from Europe to Hong Kong for £232. In this case you would be departing from Helsinki to Hong Kong on 12th of November. Your return flight would be then on 24th of November 2015 from Asia back to London in UK.